2. Due to the high intelligence of the octopus, the United Kingdom has considered it an honorary vertebrate for the sake of animal cruelty laws. 3. Wolverines are being trained to find and rescue avalanche survivors because they are naturally inclined to sniff out animals 20 feet below the snow and eat them. 4. Rabbits are so delicate animals that they can die of just fright. Children younger than 12 should not have rabbits as pets. 5. The cone snail is considered to be one of the most venomous animals on the earth. Their specialized teeth work like a hypodermic needle and harpoon to skewer and can even pierce a wetsuit. The venom is being researched by scientists to create a painkiller that is 1000 times more powerful than morphine and less addictive. 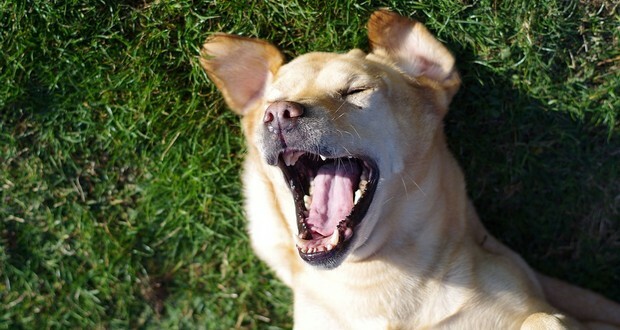 Dogs laugh. When a recording of a dog’s laugh is played to puppies, they instantly show signs of joy and the same sounds have a calming effect on dogs in an animal shelter. 7. A pit bull mix named Dosha, following being hit by a car was shot in the head by a police officer in order to stop the dog’s suffering. At an animal control center, her body was put in a freezer. Two hours later, she was found alive. Dosha was taken into surgery and survived the ordeal. 8. Guard llamas are a real thing and they can tear an animal apart with their teeth and sharp nails. 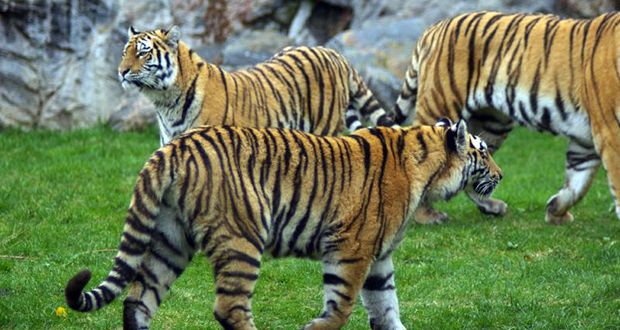 They are used to protect farm animals from coyotes and foxes. Most llamas also have an innate dislike for canines and will chase and attack such intruders with "extreme prejudice". 9. Wild mice (and many other wild animals) will run on an exercise wheel, even when not in a cage, just because they like it. 10. Four-legged animals like horses and dogs don't have backward knees. Those joints are actually their ankles, which bend in the same direction as our ankles do. The Iron Snail lives in the Indian Ocean more than 2,500 meters deep. It is the only known gastropod with a suit of scale armor. The scales and the shell are mineralized with iron sulfide, essentially making a skeleton out of iron. It is the only animal so far known to do so. 12. Chipmunks and other small rodents have fast reaction time because they process light faster. They see the world in slow motion. 13. The panda's gut isn't suited to digesting bamboo and can only digest 17% of the bamboo it eats. Instead, it is more suited to eating meat, like other species of bears. 14. Reindeers have many adaptations to survive in the cold. Their hooves expand in summer when the ground is soft and shrink in winter when the ground is hard. Some subspecies have knees that make a clicking noise when they walk so that the animals can stay together in a blizzard. 15. Grape-Kun was a Humboldt penguin that lived in a zoo in Japan. He grew so attached to a cardboard cutout of an anime girl that he lived with it as his ‘waifu’ till his death. The sleepiest animal in the world is the koala, which sleeps 22 hours a day. The second is the sloth (20 hours), armadillo and opossum (tied at 19 hours each), lemur (16 hours), then hamster and squirrel (tied at 14 hours each). 17. Trichoplax is an animal with just a few thousand cells. It can regenerate from very small group of cells, and if the cells are split apart, they can find each other and join back together. 18. An elephant named Osama Bin Laden was responsible for at least 27 deaths. After a 2-year rampage, the elephant was eventually shot, but some were doubtful if the right animal was killed. 19. In 1926, a raccoon named Rebecca was sent to the White House to be served for Thanksgiving dinner, but the Coolidge family kept her as a pet instead. 20. A joey is born at a very immature stage when it is only about 2 cm long and weighs less than a gram. Immediately after birth it crawls up the mother's body and enters the pouch. The baby attaches its mouth to one of four teats, which then enlarges to hold the young animal in place. 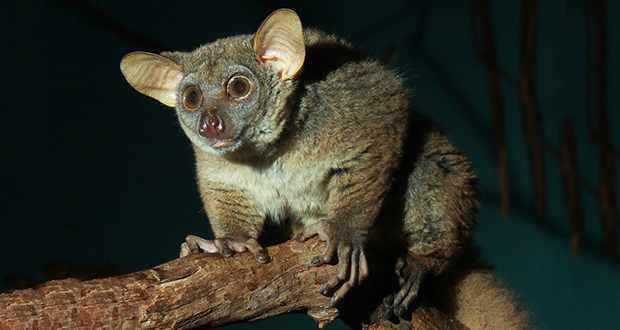 The Bush Baby gets its name from its distinctive call, that sounds like a wailing child. The call inspired a myth about an animal that would kidnap children who wandered outside at night. 22. The Malaysian pen-tailed tree shrew subsists on a diet roughly equivalent to 100% beer, drinking the fermented nectar of the flower buds of the bertam plant. This nectar can reach up to 3.8% alcohol content. Despite this, they don't appear to get drunk. 23. Miniature horses are considered service animals under The Americans with Disabilities Act and are used for people with a fear of dogs. 24. 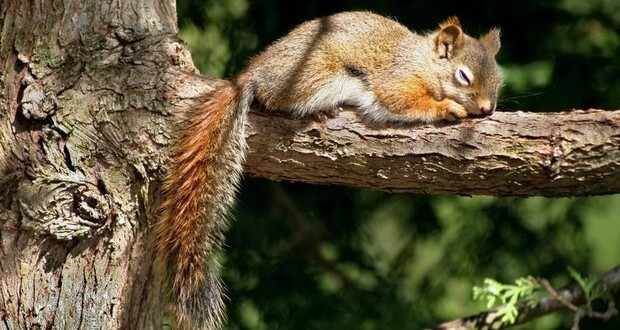 Some interesting facts about animals in winter: Hibernating woodchucks only breathe 10 times an hour. Owls store frozen voles and sit on them to thaw/eat. Arctic foxes are thermoneutral down to -112ºF. Polar bears have hollow hair that brings the sun’s heat to their black skin. Black bears lose 40% of the pre-dormancy weight. 25. The Tasmanian Devil will fly into a maniacal rage when threatened by a predator, fighting for a mate, or defending a meal. Early European settlers dubbed it a “devil” after witnessing such displays, which include teeth-baring, lunging, and an array of spine-chilling guttural growls.